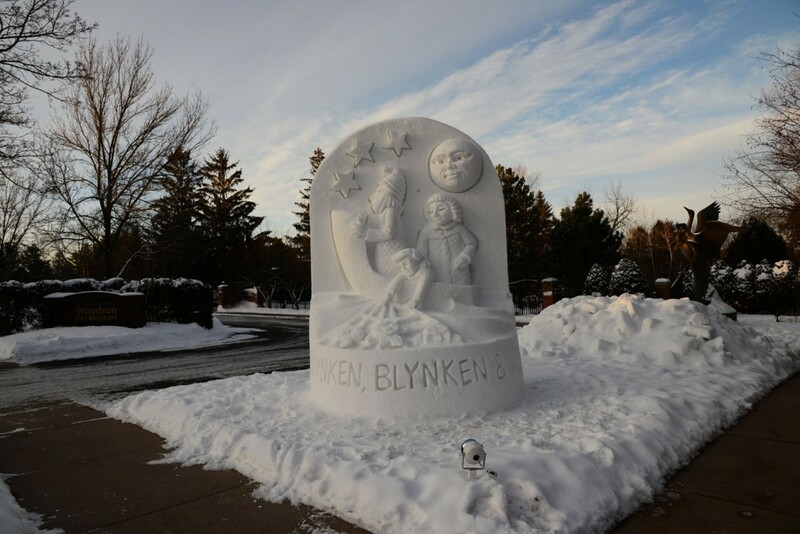 Commissioned Snow Sculpture 2016 for Woodson Art Museum in Wausau, Wisconsin. 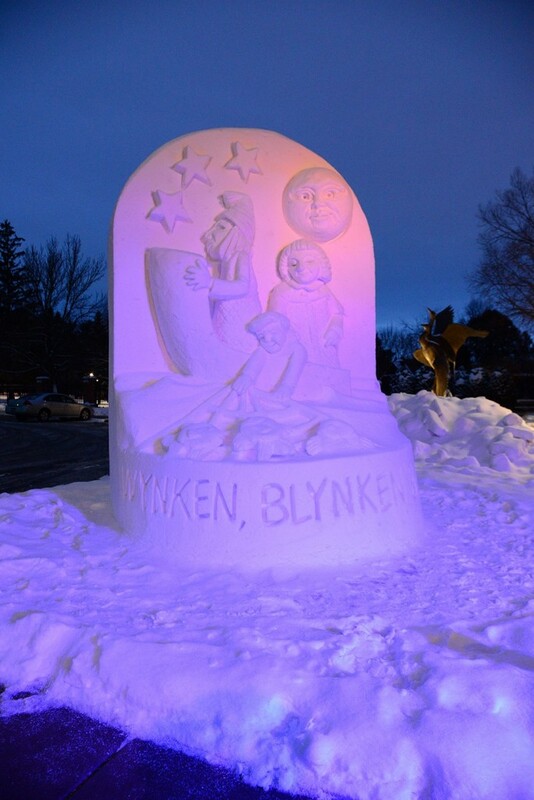 Night view of commissioned Snow Sculpture for Woodson Art Museum in Wausau, Wisconsin. Designed by Catral Doyle creative co.